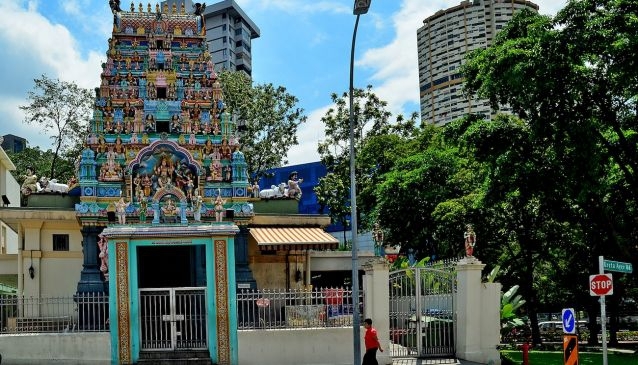 Administered by Chettiars' Temple Society, Sri Layan Sithi Vinayagar Temple is located in midst of China Town at the junction of Keong Saik Road and Kreta Ayer Road. The Nagarthars also called Nattukkottai Chettiars were famous money lending community coming from the Southern part of Tamilnadu, India. Built in 1925, the temple attracts numerous visitors including devotees of all races. The temple has three Vinayagar idols and Holy Spear and its worshippers are well blessed with peace and wealth. Between Thursday to Sunday every week, one can see lot of devotees making 108 Pragarams (Circle around the Sanctum) to fulfill their vow.